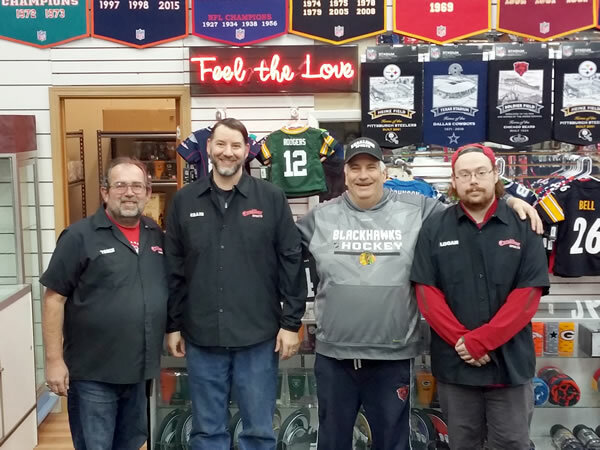 We have operated our store at the Northway Mall in Anchorage for over 20 years with many thousands of products in our inventory. If you are in Anchorage and haven’t shopped with us, or it has been awhile, stop on by, we don’t bite (much). Besides, we have more product in stock than ever before, so you’ll be sure to find the perfect item for your team that will let the world know you are a true fan. If you’re not in Anchorage or are feeling lazy and don’t want to make the drive, we wont hold it against you, that’s what this web site is for. We are adding many new products every day, so be sure to check back often. If you are not finding what you are looking for or have any questions, give us a call at our store or send us a message (Contact Us).